Church Plants - A key biblical strategy in expanding the reach of the Gospel is the establishment of new churches. Cornerstone currently supports 7 church plants, both local and far off. Reformed University Fellowship is the campus ministry organization of the Presbyterian Church in America. RUF has experienced rapid growth the past few years, and currently has 140 chapters at different college campuses spread over 37 states, Mexico, Columbia and the Czech Republic. It strives to serve in this unique stage of a student’s life in the world they live in, exploring together how the Lordship of Christ informs every area of life. Cornerstone supports five RUF campus ministries in Middle Tennessee and Western Kentucky. Our vision is to see more men reconciled to God and their families, and to aide them both prayerfully and financially to re-enter society enabled by the grace of God to live godly and productive lives. Christ has given the task of evangelism and discipleship to the Church. At Harvest Prison Ministry we are developing that Church behind prison walls. Essential to our ministry is a commitment and accountability to the visible Church. It is of first importance in our practice and teaching. The Church is never merely a means to grow, but rather as God’s ordained institution by which to proclaim the gospel. Through the Church Christians become more like Christ. It is in the context of the Church that all the means of grace by which we grow are available. GraceWorks Ministries, Inc. was founded in 1995, when area concerned citizens and faith leaders came together and decided Williamson County needed a central place to send people who needed help with food, clothing and financial assistance. By pooling church resources with private and public sectors, GraceWorks was able to provide more help for many needs to better serve our community, rather than duplicating efforts. Today, GraceWorks has expanded upon these relationships to establish a referral network with other agencies to provide help for immediate needs and long-term resources. GraceWorks focuses on four areas—family support, instructional programs, seasonal needs and hunger prevention. Through its many programs, GraceWorks fulfilled 46,665 needs valued at $5.2 million in 2016. We are a United Way of Williamson County agency and a member of Community Foundation of Middle TN, Second Harvest, Hands on Nashville and Center for Non-Profit Management. 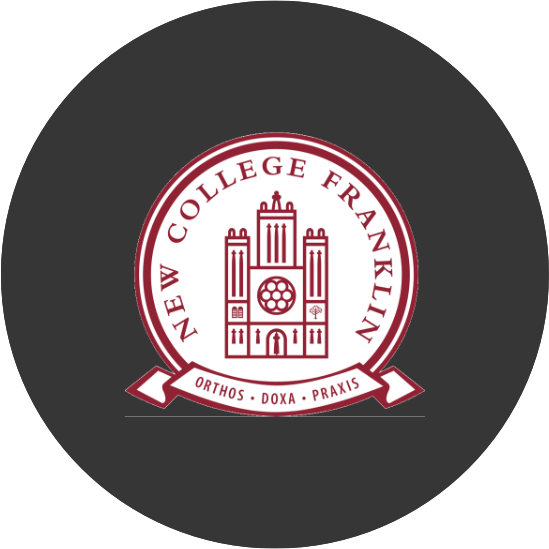 New College Franklin is a four year Christian Liberal Arts college dedicated to excellent academics and a rich community. A strong community of Christian discipleship, New College Franklin pursues Godly wisdom in order to form our students to be missionally equipped for lives of humble service wherever God may direct them. We believe that the Lord God is the creator and source of all being and thus all knowledge is anchored and unified in Him. Accordingly, our unique educational experience highlights the unity of all knowledge in our program of study so that we may know God’s truth, cherish His goodness, and enjoy His beauty. Our educational program intentionally draws us toward man’s highest aim, the worship of God.